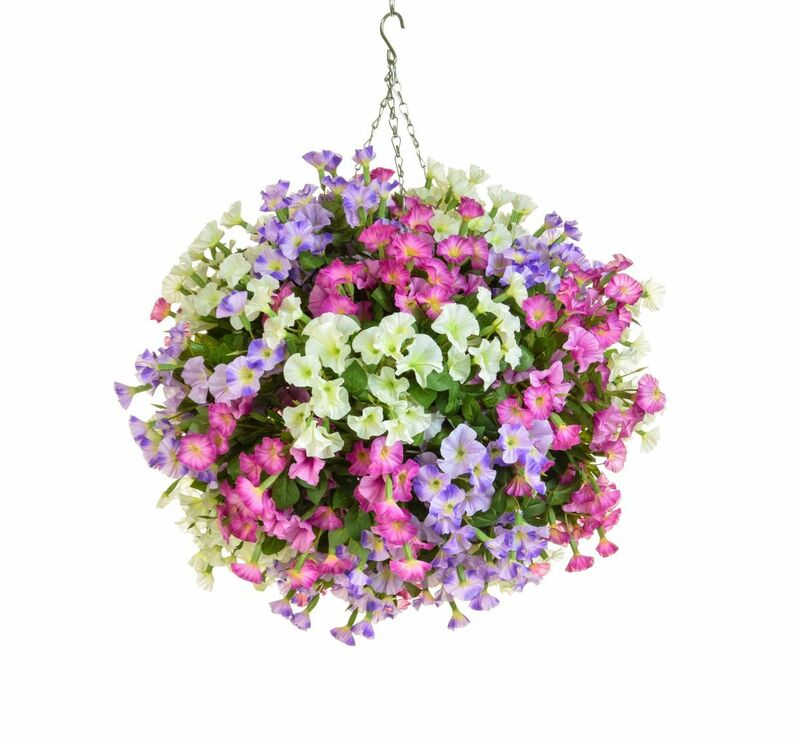 Artificial Petunia Ball Hanging Baskets: are exquisitely life like. 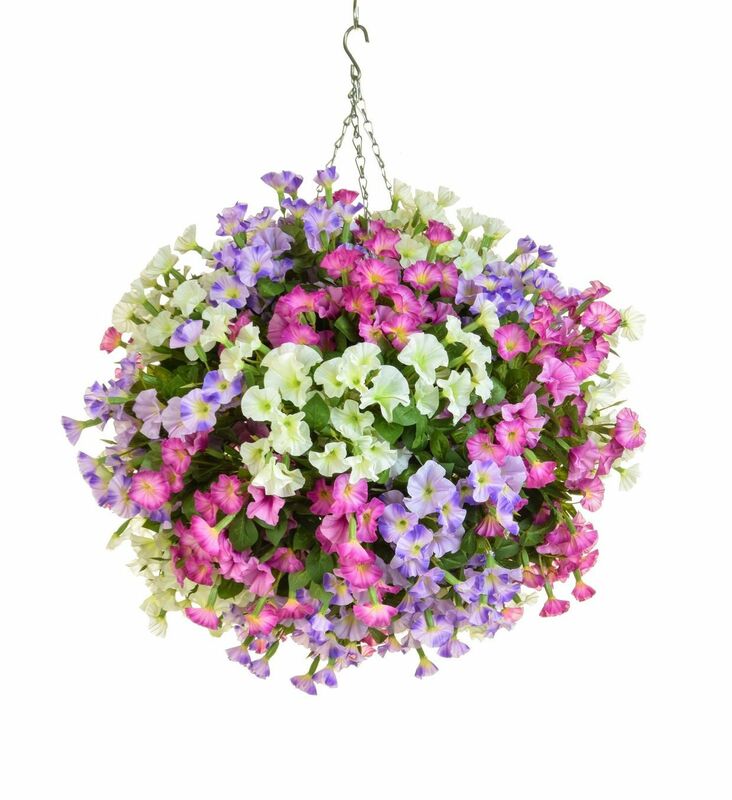 Design highlights: these fake Petunia Ball Hanging Baskets are gorgeous, colourful, stylish and very eye catching. Care tip: Clean with wet cloth gently (or spray gently with clean water) to increase the life of the decorative item or buy our artificial cleaning spray. 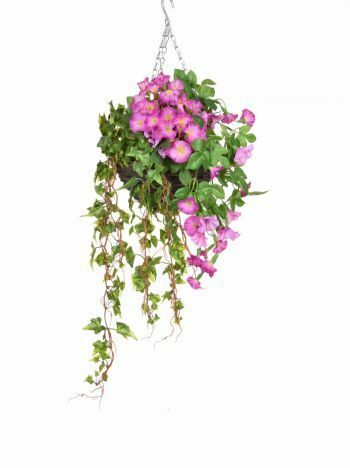 This beautiful full artificial silk ball Petunia hanging basket is part of the Petunia range, which comes in two sizes. The actual basket size of the larger basket is approx. 12 inches in diameter and then it has Petunia Flowers flowing out in mostly every direction to make the total size approx. 55cm across - very big! It is suitable for outdoor use. 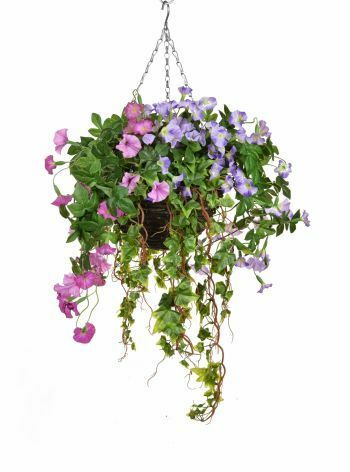 The height from the top of the chain (hook) supplied to the bottom of the flowers is approx. 51-61cm as generally there is approx. 6cm of chain visible at the top before it gets hidden in the flowers.